The Biological Realist is a podcast dedicated to discussion of the impact of evolution upon human mind and society. Our discussions explore the biological dimensions of our relationships, norms and institutions. It’s a kind of time travel, anticipating the future of an evolutionary social science — just over the horizon. Come have a listen; join the conversation! In this episode I discuss the history of IQ testing and some of the novel conceptual developments generated from the early pioneers in the field. Francis Galton, Alfred Binet and Charles Spearman are discussed. An important development in intelligence research was the discovery of g: general intelligence. In this episode I discuss what g is and how it was identified. IQSL 1. IQ, Society and the Liberal Tradition. In this introduction to a new BRP series, I discuss what I hope to accomplish with this video series on intelligence and its social implication as seen through the lens of the liberal tradition. Robert Kurzban is professor of psychology at the University of Pennsylvania. 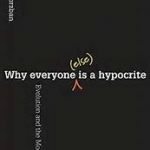 He joins BRP to discuss the ideas in his books Why Everyone (Else) is a Hypocrite: Evolution and the Modular Mind and, co-authored with Jason Weeden, The Hidden Agenda of the Political Mind. We explore why and how evolutionary fitness pressures incline us to self-deceptively pursue our self-interest (or, more accurately, our inclusive interest) through our political and moral commitments – despite the rational and principled explanations we tend to provide to legitimize those commitments. We also discuss what functional architecture of the mind is suggested by evolutionary insights. 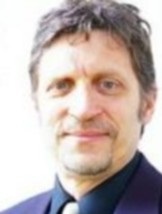 Mark Flinn is professor of anthropology at University of Missouri. We discuss the impact on the evolution of the human mind of our ancestors’ gradual reduction of the traditional hostile forces of nature – predators, weather, food shortages, etc. – and the resulting rise of our fellow humans as the main obstacle to our fitness improvement. The challenges of such a constantly shifting playing field have selected us for our intelligence, linguistic facility, skill at deception and preference for self-deception. We conclude with a discussion of how these facts make evolutionary education so challenging. The Human Social Evolution collection contains a great introduction of Alexander’s ideas on “Biology and Culture” by Mark Flinn. Click on the thumbnail picture on this page. And if you enjoy this discussion, check out my discussion with Kyle Summers in BRP 2, below. Mark Flinn’s personal website: click here. Check out this great article, co-authored with David Geary and Carol Ward, integrating the evidence from a variety of fields to test Alexander’s ideas about ecological dominance and social competition. Aaron Sell, Professor of Criminology, at Griffith University, identifies the evolutionarily adaptive nature of human anger, as well as several related adaptations, including the Welfare Tradeoff Ratio and Formidability Assessment. We discuss the fitness benefits, regulation and possible defense mechanisms of these adaptations. Later we apply these insights to broader social currents including “anger management” and possible implications for national and international politics. Aaron roots his work in the tradition of evolutionary biology and discusses the merits of the work of George Williams’ book Adaptation and Natural Selection. We also discuss Christopher Boehm’s work on evolved human egalitarianism, in his book Hierarchy in the Forest. For more on these books click the thumbnails in these episode notes. Athena Aktipis, Assistant Professor of Psychology at Arizona State University and Co-Director of the Human Generosity Project, has identified principles that can explain biological cooperation at multiple levels of organism complexity and interaction. Among these are the Walkaway strategy and cheater detection. In today’s episode, we discuss how these insights from cooperation theory apply to human society. What is it that allows humans to cooperate? It turns out neither inclusive fitness nor reciprocal altruism are necessary. We also discuss a common pro-cooperation bias that may not always get the story quite right. Randy Thornhill, Distinguished Professor of Biology at the University of New Mexico, joins the show to discuss his book, co-authored with Corey Fincher: The Parasite Stress Theory of Values and Sociality. We have a wide ranging discussion covering the importance of understanding the proper role of culture in the biological study of human life; the dangers of the naturalistic fallacy; and the expansive evidence that relative degrees of exposure to illness and disease can explain a huge range of human behavior, values and institutions. The episode concludes with a discussion focused specifically on some of the challenges in getting the language right regarding political identity when doing this kind of research. For more on Randy’s book, click on the thumbnail picture below. 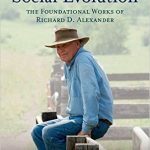 Kyle Summers, professor of biology at East Carolina University, joining me to discuss the ideas of Richard Alexander by way of a book that Kyle co-edited with Bernard Crespi, Human Social Evolution: The Foundational Works of Richard D. Alexander. If you’d like to find out more about the book, click on the thumbnail image in these page notes. Conversation particularly focuses on Alexander’s original and incisive insights into the evolutionary relevance of the arts. We also discuss an article prepared by Kyle for a symposium in honor of Alexander on the evolutionary ecology of despotism and consider what implications it may or may not have for assessing political power in the contemporary world. The Evolutionary Ecology of Despotism article. In this episode, our first of The Biological Realist Podcast, I’m joined by my friend Kathleen Leachman, who takes over the mic and interviews me about what you can expect from this exciting new podcast in the episodes to come. Professionally, Kathleen is an RMT and entrepreneur, who has worked in the health care field for over 20 years, and has a growing interest in evolutionary medicine. She also mounts conferences for health care professionals. Her next event is a two day conference in Vancouver, April 28-29, 2016, on the neuroscience of pain for health care professionals, led by Sam Steinfeld. For more information or to register for the event, check it out here.